Is This What The New Kevin Smith-Approved Batman Suit Will Look Like? Or will it just be Ben Affleck in a thong? 1 - Backwards baseball cap cowl, to both instill fear and remind people that there was definitely no cooler or more relevant decade than the &apos;90s. 2 – Batarang lightsabre. Because this is Kevin Smith, and he has to work Star Wars into absolutely everything. 3 – Trench coat cape. As well being flattering for the fuller-figured gentleman, it comes with extra-deep snack-hiding pockets for severe attacks of the crime-fighter munchies. 4 – Traditional bat symbol replaced with New Jersey Devils logo. This is one Batman who will wear hockey pads. 5 – Smartphone utility belt, so Batman never needs to be more than a second away from an angry Twitter tirade. 6 – Mark Hamill’s “Cockknocker” hand from Jay And Silent Bob Strike Back, since everything needs to have at least one reference to a previous Kevin Smith movie. 7 – Depends Incontinence Underwear. 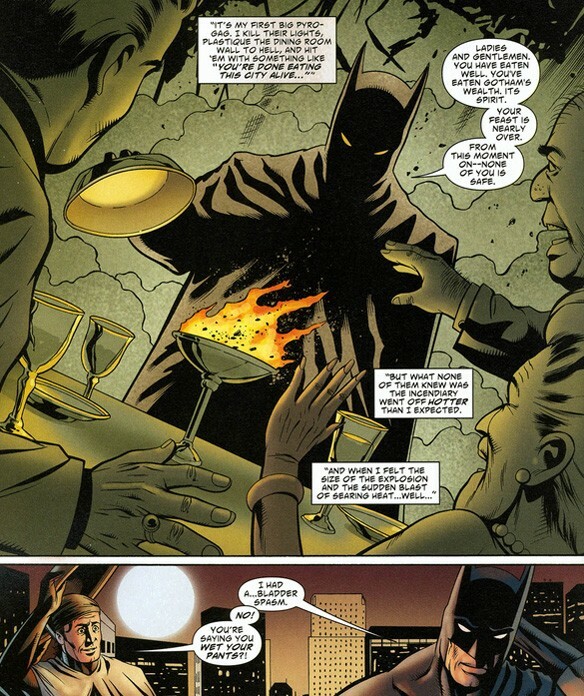 Kevin’s run on writing Batman comics saw him rewrite a classic, fan-favorite Batman: Year One scene to include the fact that, apparently, Batman had pissed his pants, so these might be a necessary addition. 8 – Cut-off tights. Because…actually, we have no idea why he still wears cut-offs. 9 – The classic Bat-boots get replaced with a pair of sweet high-tops, since these are much more convenient for hiding your stash in a hurry. 10 – Shoes have built-in soap boxes to stand on. For obvious reasons.